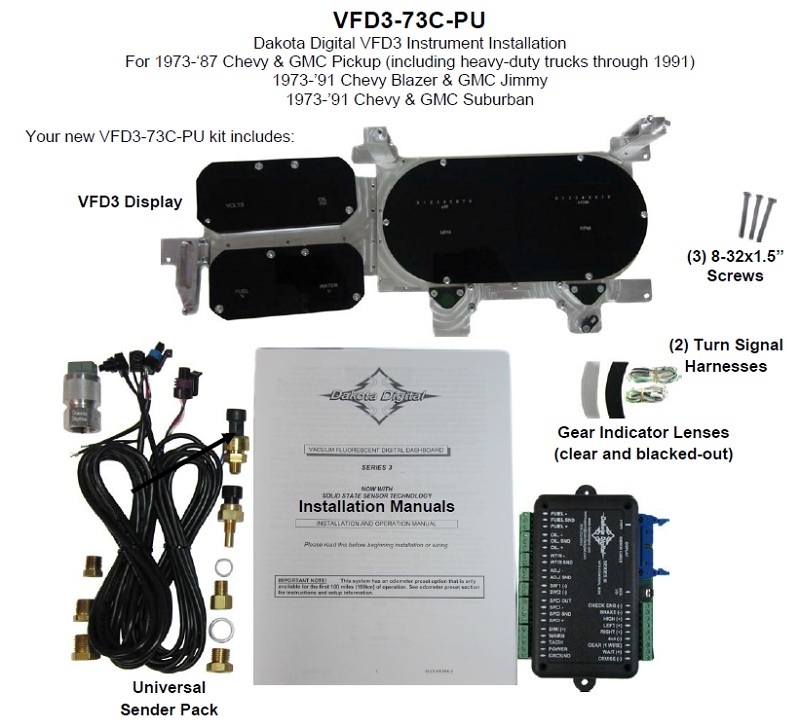 Full 6 Gauge Instrument System fits into OEM bezel for 1973- 1987 Full-size Chevy and GMC Pickups. Fits directly into existing bezel (bezel is NOT included). *Bezel is not included, shown for visual/presentation purposes. CALD-73C-PU - 1973- 1977 Chevy & GMC aluminum trim plate insert, available or an additional $118.75. CALD-78C-PU - 1978- 1980 Chevy & GMC aluminum trim plate insert, available for an additional $118.75. CALD-81C-PU - 1981- 1987 Chevy & GMC aluminum trim plate insert, available for an additional $118.75.